I admit it. I am addicted to travel. 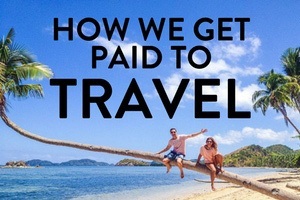 After I gave up my high paying job and decided to go see the world, it’s all I ever think about. I live for travel…and luckily, I have even been able to build a business around it. 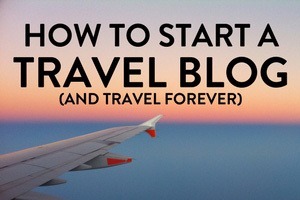 As a travel writer, I talk, think, and of course, write about travel a lot. 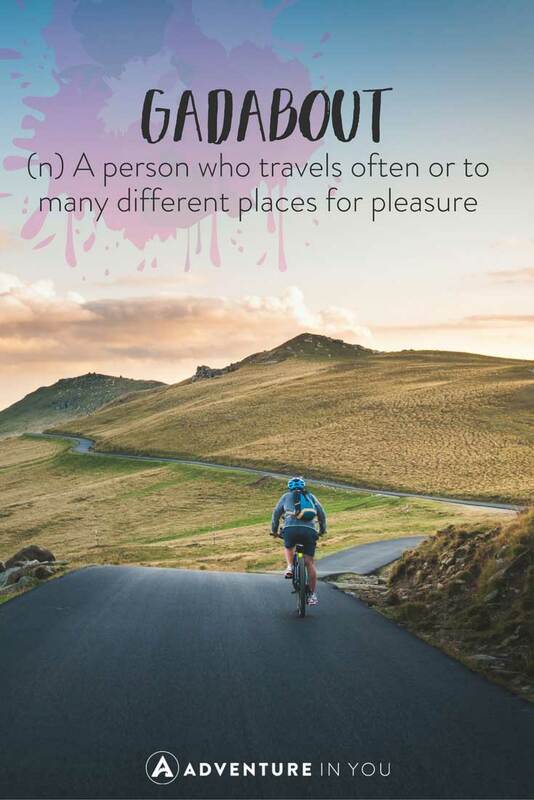 However, there are moments when I feel like I cannot fully express myself which is why I’ve turned to other languages and unusual travel words to help expand my vocabulary…and yeah, to satisfy that gnawing feeling. 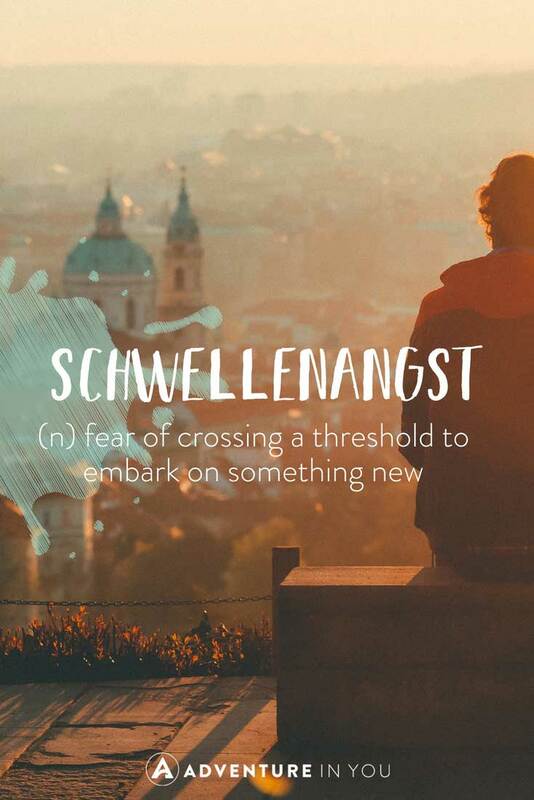 The more I started researching and looking up these words, the more I fell in love with them as somehow, they could perfectly convey certain feelings and emotions where the English language just doesn’t cut it. 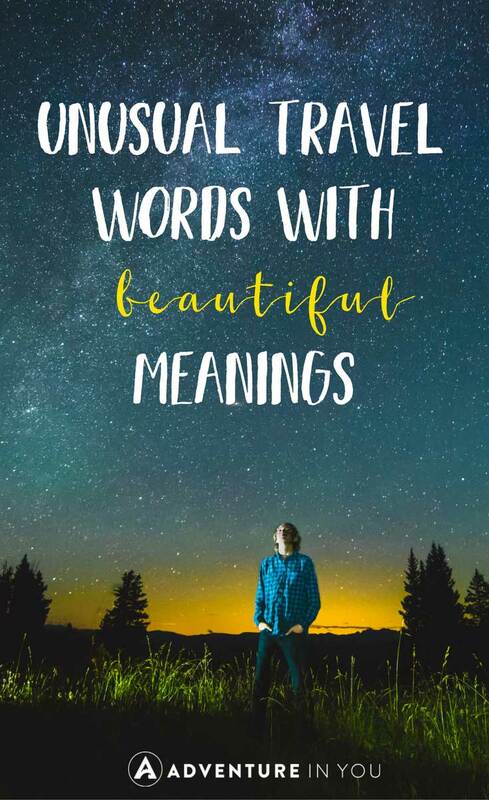 Inspired by the success of our popular best travel quotes article, here is our top list of the most unusual words with beautiful meanings. Editor’s Note: Share some love and pin the images below! 1. 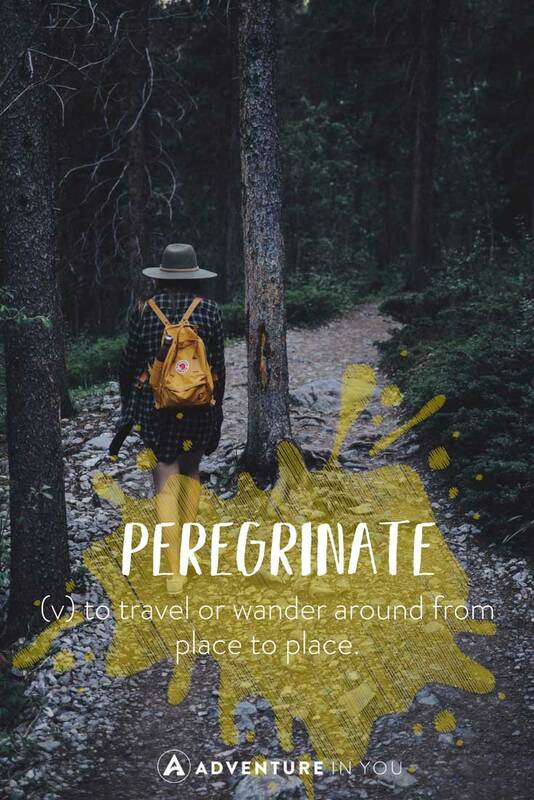 Peregrinate (verb) To travel or wander around from place to place. 2. 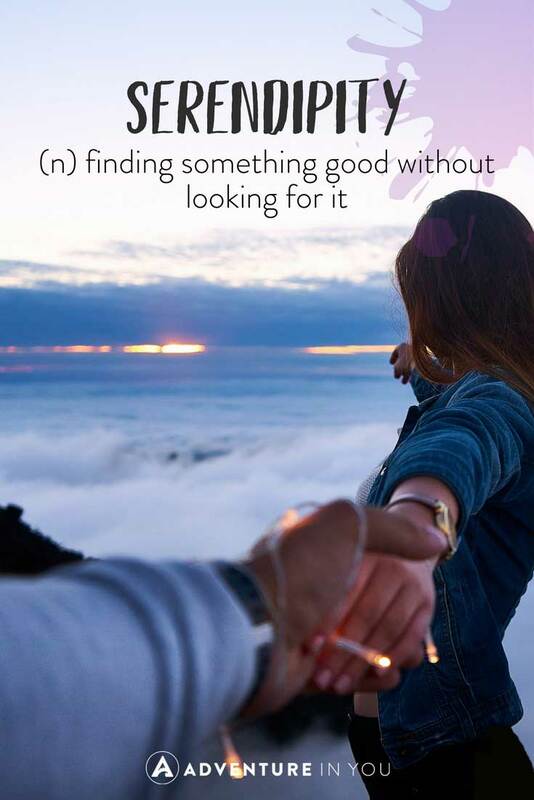 Serendipity (noun) Finding something good without looking for it. 3. 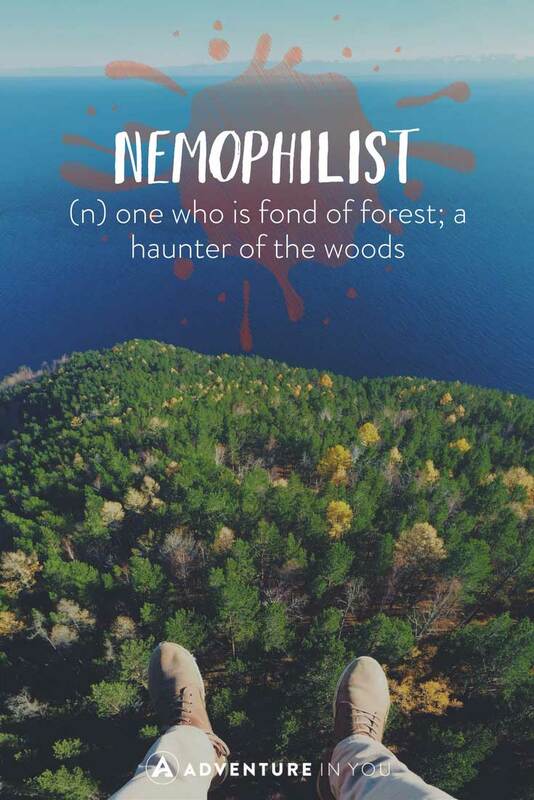 Nemophilist (noun) One who is fond of forest; A haunter of the woods. The first three words listed above resonate with me so much. Not to be all sappy but I think the moment I met my partner was pretty serendipitous (yes, it’s a word!). I was in the tail end of my year long trip around the world and was starting my trip around Southeast Asia in Vietnam. On my very first day, I got into a random freak accident which resulted in me being rushed to the ER on an ambulance. 21 stitches later, I had to put my travels on hold as I couldn’t even pick up my backpack. I went back to the Philippines to heal and recuperate. After 2 months or so, I was bored and decided that I still had more traveling to do so I impulsively booked another ticket yet again back to Vietnam. On my third day there, I met Tom. Since then, we’ve been gallivanting the world together for almost three years. Together, we’ve built our business from the ground up and although we have a long way to go, we love being able to work on our passions. Perigrate, on the other hand, is such a beautiful word which denotes freedom to roam, love for travel, and allure for everything unknown! When I first read about the world Nemophilist, it was one of those moments where I had to go, wow-is that even a word? But then again, most of the words in this list gave me that reaction as well. The Greek language is beautiful. I fell in love with it when I first got to Greece and although my vocabulary was rather basic, I would have broken conversations mixed in with charades with random people I would meet on the street. I swear conversations with Greek grandmas and grandpas are the best! 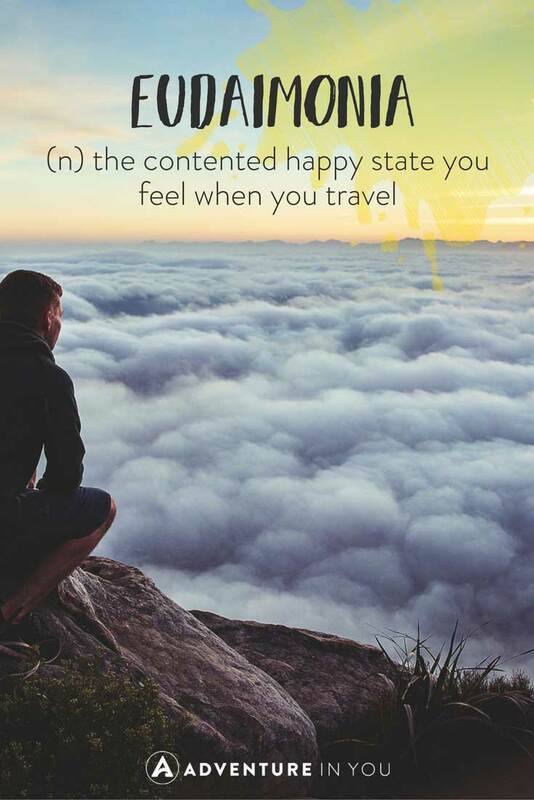 So when I found out that they had a word, which specifically translated to the contentment that you feel when you travel, I was blown away. I remember vividly climbing barefoot to get to the end of this cliff while I was in Santorini. I sat at the edge of the cliff and gazed at the incredible sunset unfolding. It was one of those aha moments where I understood why people travel. Since that moment, I was addicted. I was addicted to the feeling, to the sense of fulfillment, and most of all, to the sense of contentment which I felt doing something that I thoroughly loved. 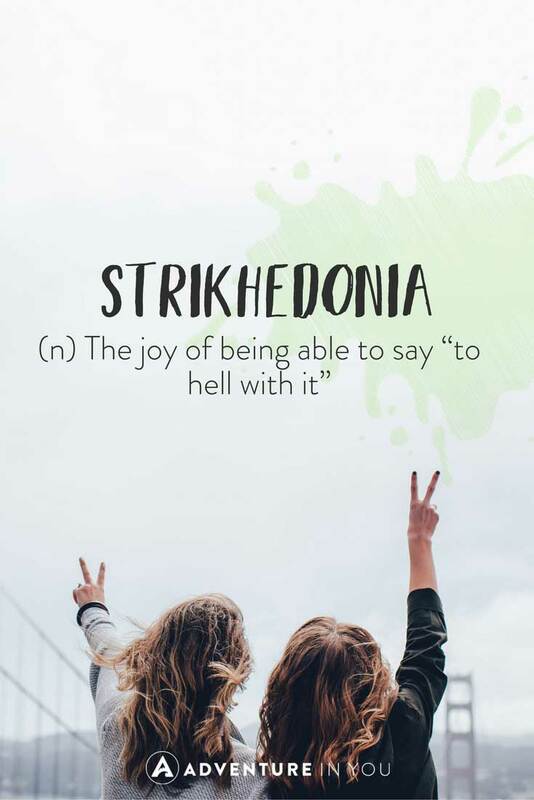 Strikhedonia…man the Greek language nails it again. Contrary to what some people think, I’m a very calculated person. I started saving for my year long trip as soon as I got my very first job. I had the money to start my trip for a while but I had doubts and reservations of quitting my well paid high position job. 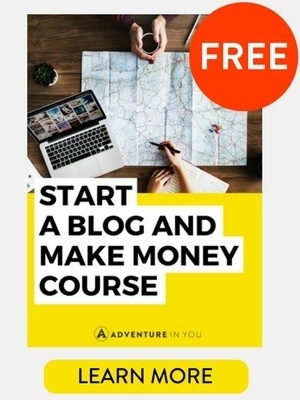 One day, I woke up and literally decided there and then to quit everything, sell everything I had, and go traveling. Since then, I have had one too many “to hell with it” moments. When I look back at everything I’ve done, those tiny bursts of inspiration have led me to where I am today. On the outside, my job as a full-time travel writer seems easy. A pretty photo here and there, a long Instagram status about how beautiful this place is but, in reality, we too have bills to pay and struggle with every day living. We work, we hustle, we spend almost 10 hours a day glued to our computers (in between long bus rides) when we’re traveling. But in reality, I wouldn’t live my life any other way. Sometimes, all you need is a moment of madness (or sheer brilliance) to be able to work up the courage to defy the norm and live life on your own terms. 11. 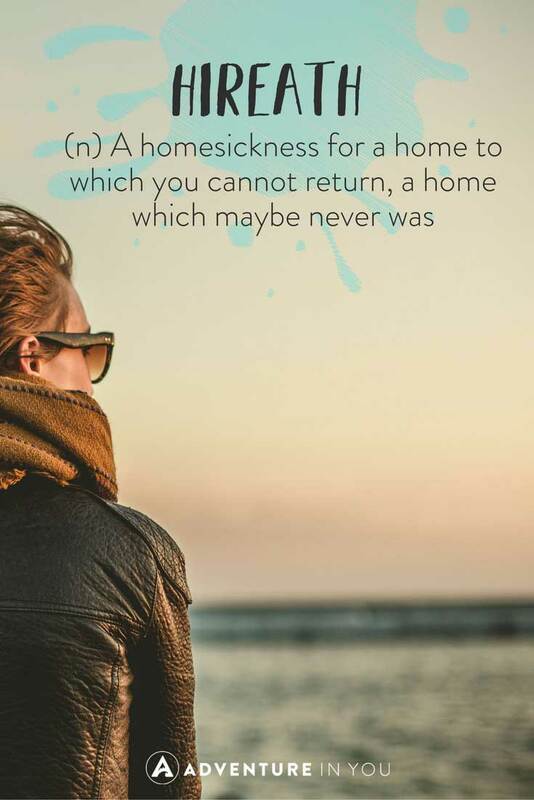 Hireath (noun) A homesickness for a home to which you cannot return, a home which maybe never was. Once upon a time, I lived in a paradise-like island. It was a time in my life where I got to know myself, lived hard, and also eventually grew the courage to pursue my dreams. While leaving the place was difficult, it was also time. I often felt like I was in a rabbit hole and I needed a way out. Being a well-known vacation island, people were very transient. When I first read about the meaning of the word hireath, this place immediately came to mind. It is a place I know I can never return to and immediately feel at home because somewhere along the way, I realized that the people who were there with me at that point in time made it home. Have you ever felt like that about a specific place? 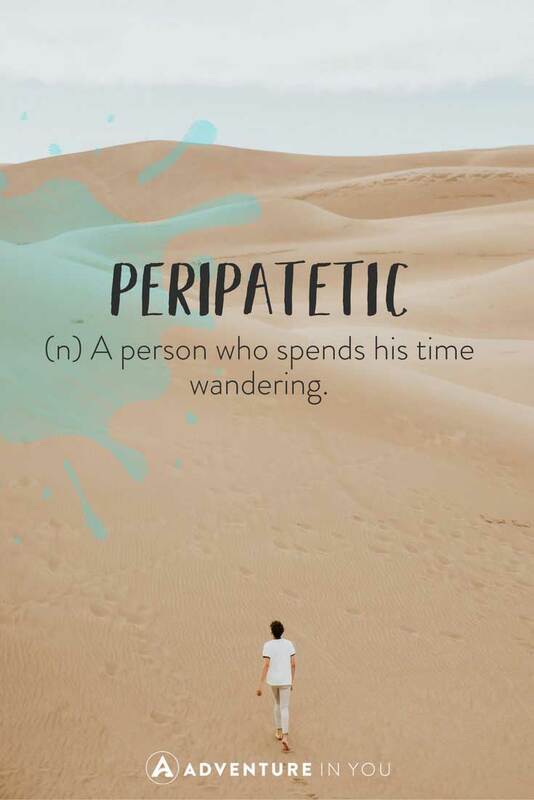 Peripatetic on the other hand is another beautiful word which sums up the urge that most people feel to wander. 14. 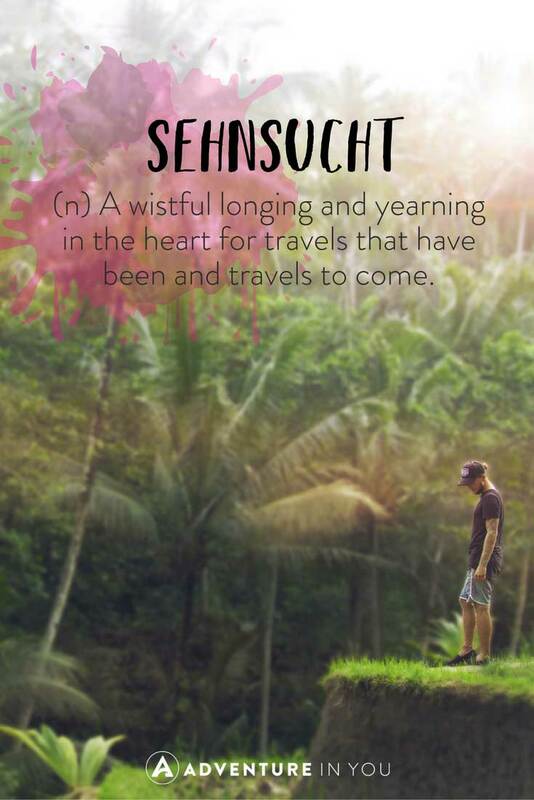 Sehnsucht (noun) A wistful longing and yearning in the heart for travels that have been and travels to come. 15. 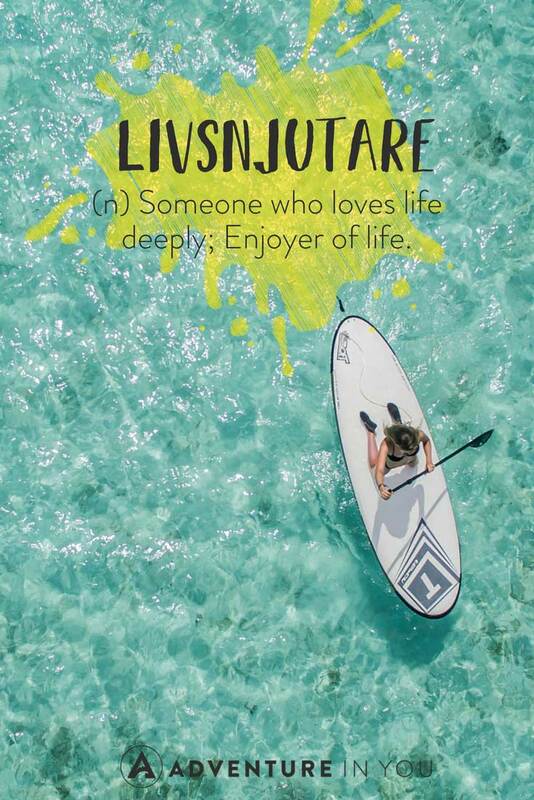 Livsnjutare (noun) Someone who loves life deeply; Enjoyer of life. Ever since I was a child, I’ve never dreamt of wealth. It was one of those things where most of my friends would proclaim “I want to be a millionaire” and everyone would chime in and say me too. While I think it would be awesome to be rich (who wouldn’t? ), what I’ve always wanted was simple. I wanted to be happy. I wanted to live by the ocean and live a simple and content life. I guess this is why the German word Livsnjutare resonates so much with me. I am proud to say that although I am far from being financially stable (working on it! ), I am loving life fully. 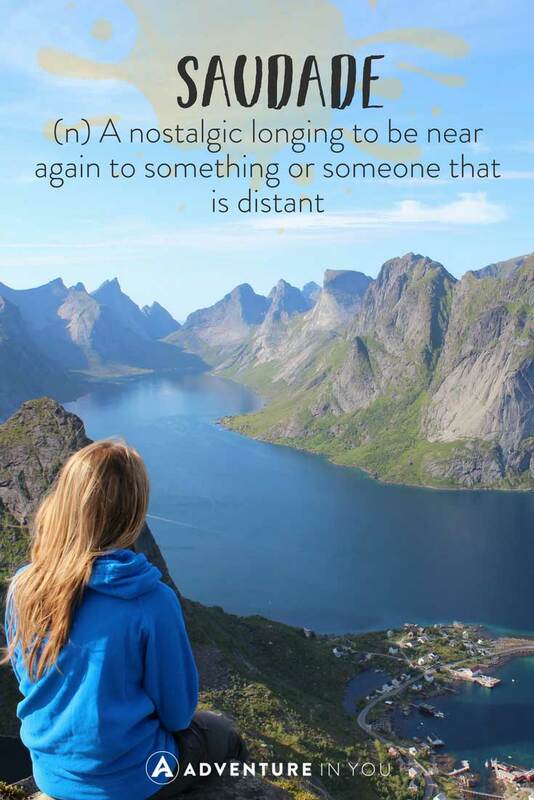 Sehnsucht on the other hand…is probably a word I would use on a daily basis if I spoke German. 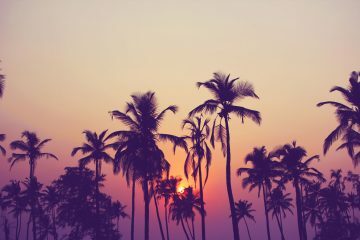 I kid you not, I often catch myself day dreaming about exotic places, remote islands, and exploring hidden destinations. So I totally understand the notion of longing for travels to come. Editor’s Note: Enjoying these? Feel free to pin them! 16. 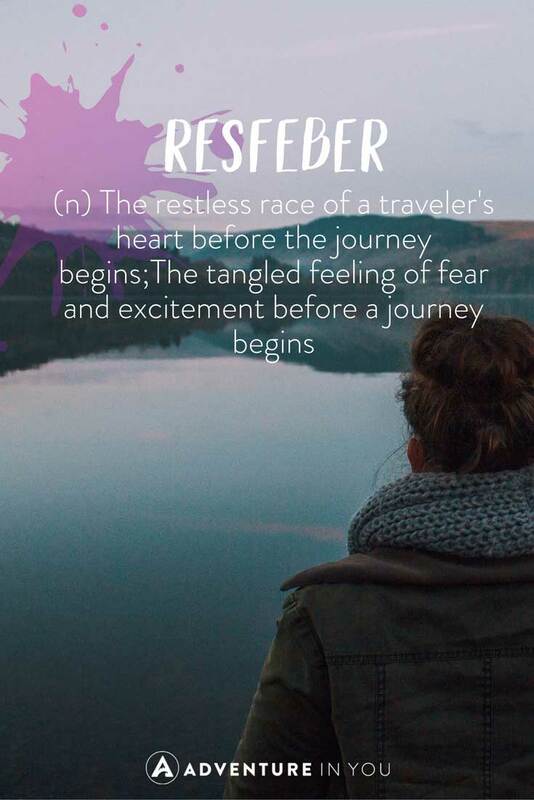 Resfeber (noun) The restless race of a traveler’s heart before the journey begins; The tangled feeling of fear and excitement before a journey begins. 18. 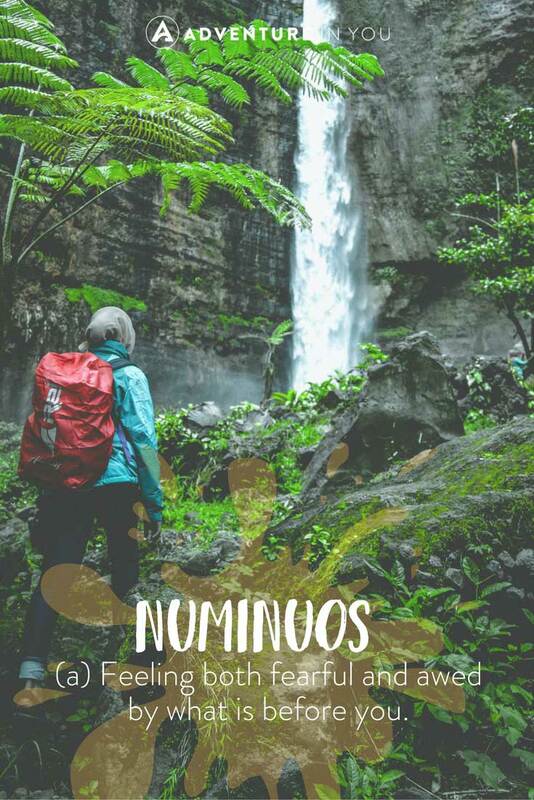 Numinous (adjective) Feeling both fearful and awed by what is before you. I don’t know about you but every time I have a trip coming up, I can’t sleep. If I have an early flight, I end up waking up multiple times throughout the night in fear that I have somehow overslept and missed my flight. While some may call that slightly neurotic, I think I prefer the word resfeber. I think it’s the sense of excitement for the unknown that gets me all giddy and pumped. 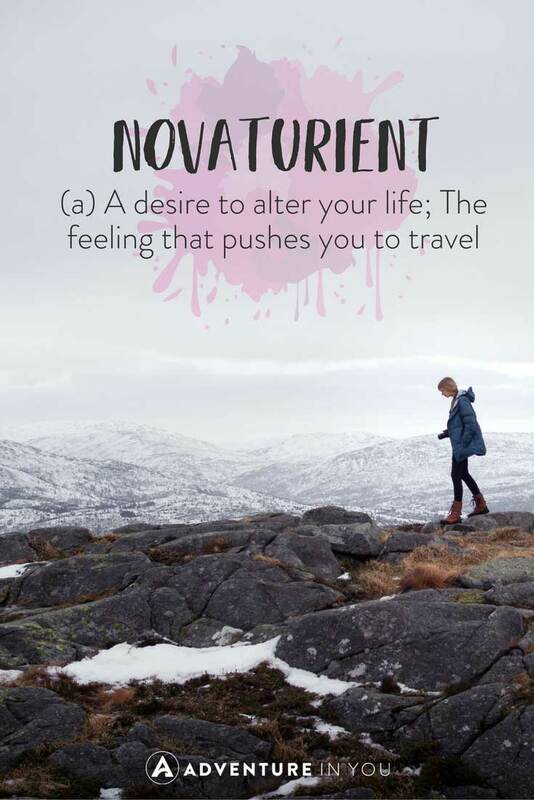 Novaturient is pretty much a word that sums up why I urge people to travel. I have seen what it has done for me and I have seen how it brings out the best (and the worst) in people. Travel for me is humbling. Every day teaches me a new lesson and allows me to reflect on what I have, where I am, and ultimately, to be able to just appreciate the simple things in life like a home-cooked meal or my mom and dad’s hugs when I’m ill.
19. 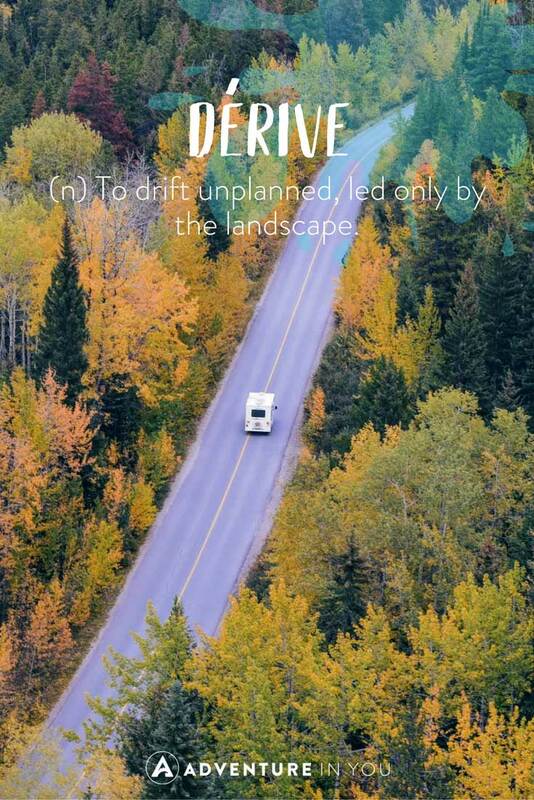 Dérive (noun) To drift unplanned, led only by the landscape. 20. 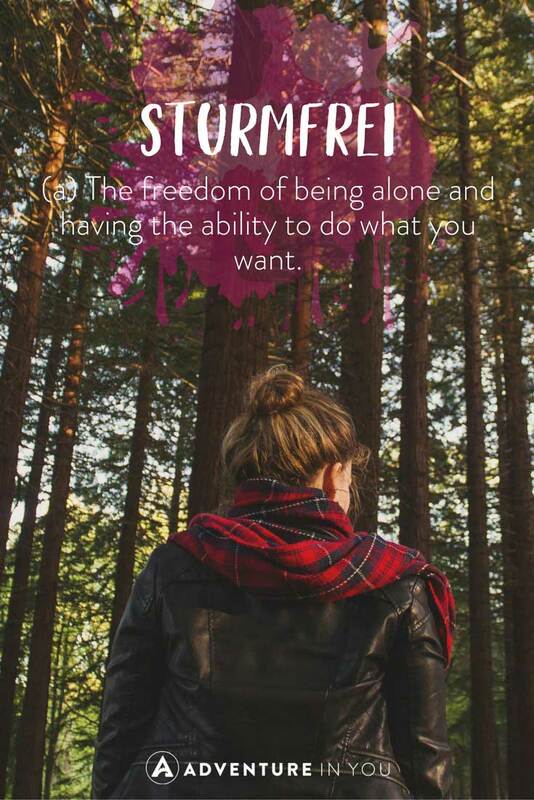 Sturmfrei (noun) The freedom of being alone and having the ability to do what you want. 21. Trouvaille (noun) Something lovely found by chance. Often times, people equate being alone with something negative. 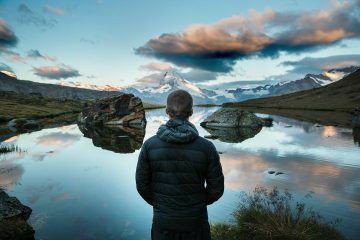 For some people, traveling alone is life changing. 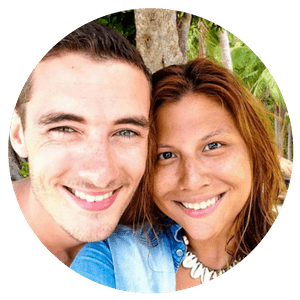 While I now travel with my partner, my solo trip abroad was what ultimately defined who I am. It taught me so many things about myself that I would never have found out. For example, I found out that I loved eating alone when I was in Italy. While I think eating alone started as a fear of being judged by the amount of pizza and pasta I would eat, I eventually loved every second of it and would excuse myself when I was traveling with big groups just so I could have some me and my meal time. I could name a million other things that came out of my solo travels but bottom line is, solo travel for me made me feel like superwoman which is why I could definitely related to the word Sturmfrei. 22. 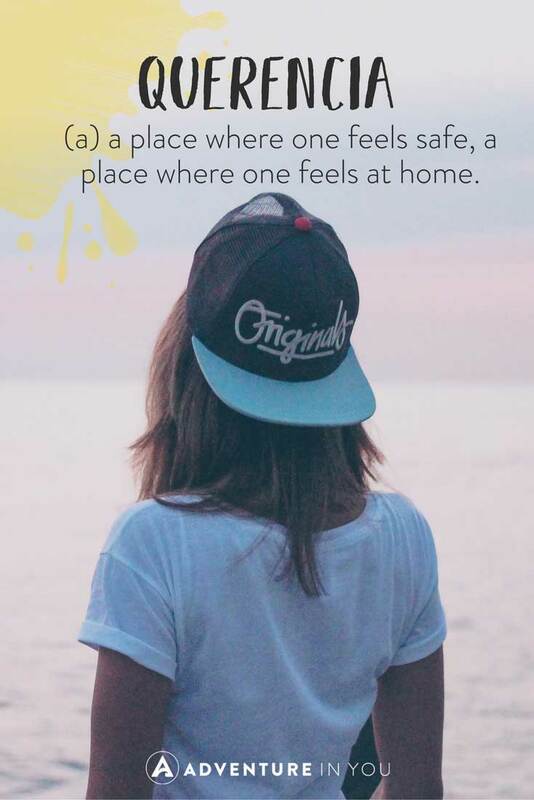 Querencia (adjective) A place where one feels safe, A place where one feels at home. 23. 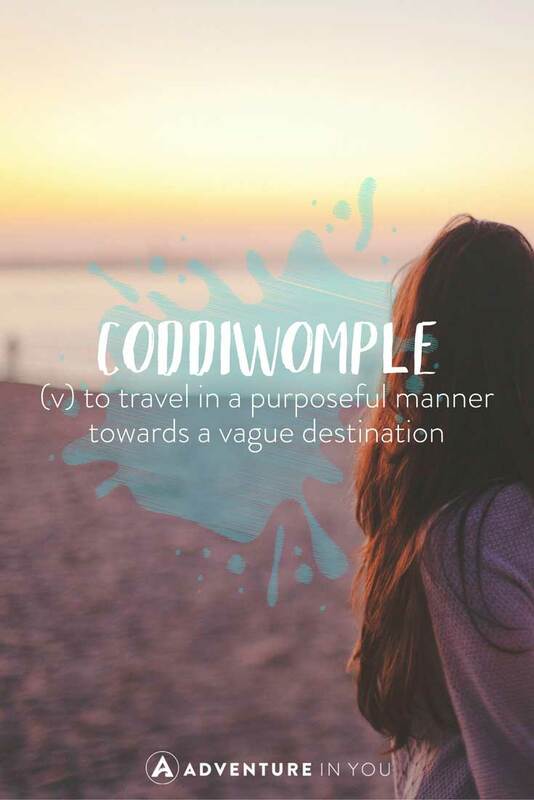 Coddiwomple (verb) To travel in a purposeful manner towards a vague destination. 24. 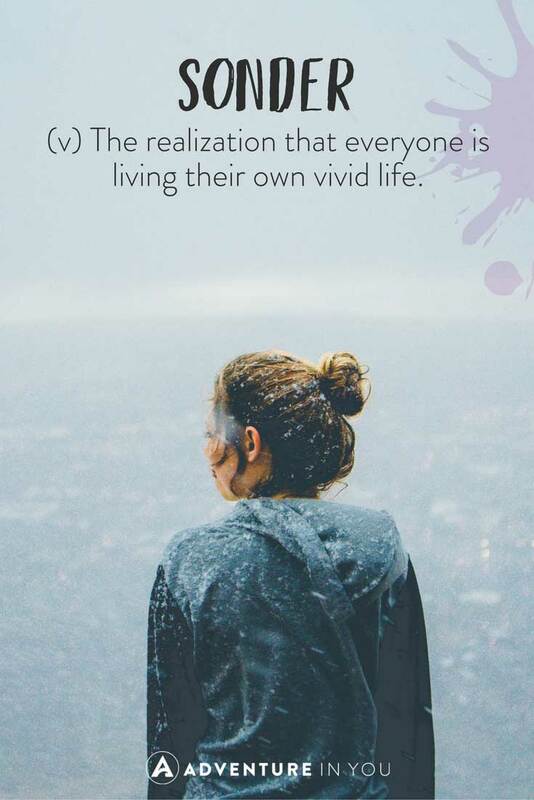 Sonder (verb) The realization that everyone is living their own vivid life. One of the most important lessons that travel has taught me is that the world does not revolve around me. Sonder captures that as it speaks of how everyone is on their own journey. That grumpy waitress that you meet? She just might be having a horrible day. Let it pass. The person who stole your hat while in the hostel? Maybe they really needed. Being able to empathize with people is one of the things that I think every person should do more of. 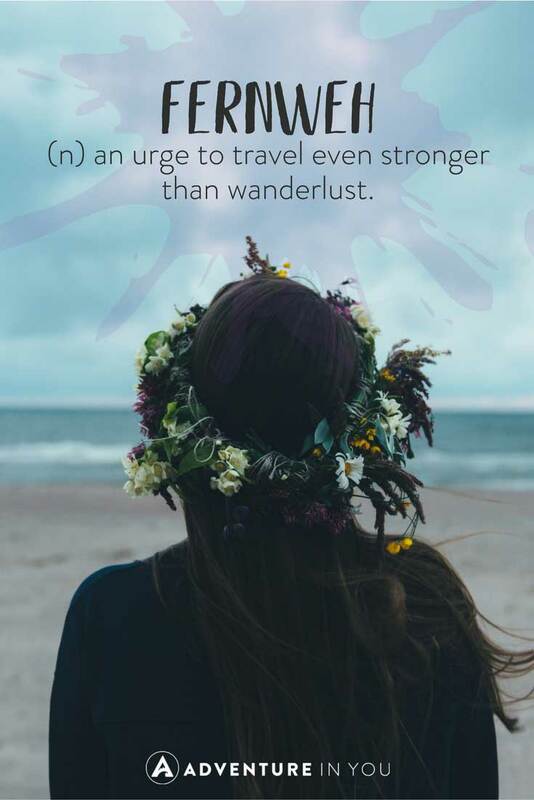 Traveling teaches you that. Every day I am humbled by the people I meet on the road and it serves as a constant reminder to be more understanding. 25. 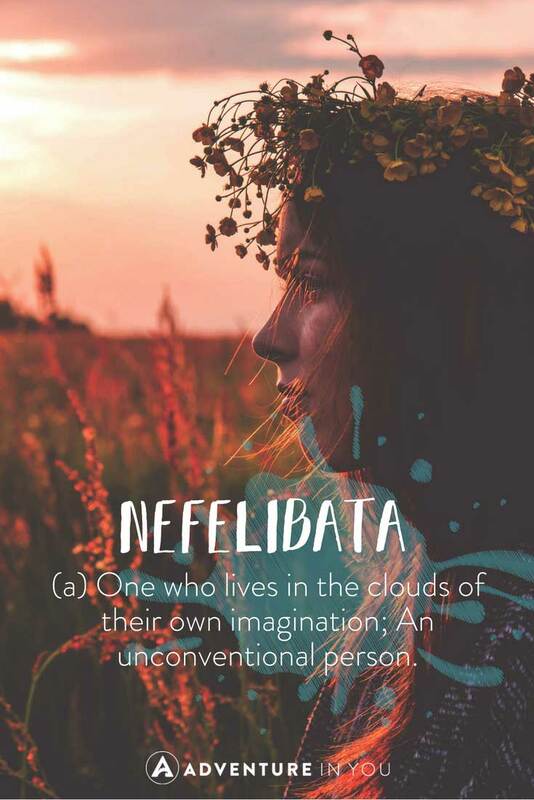 Nefelibata (noun) One who lives in the clouds of their own imagination; An unconventional person. 26. Saudade (noun) A nostalgic longing to be near again to something distant or someone that is distant. 27. 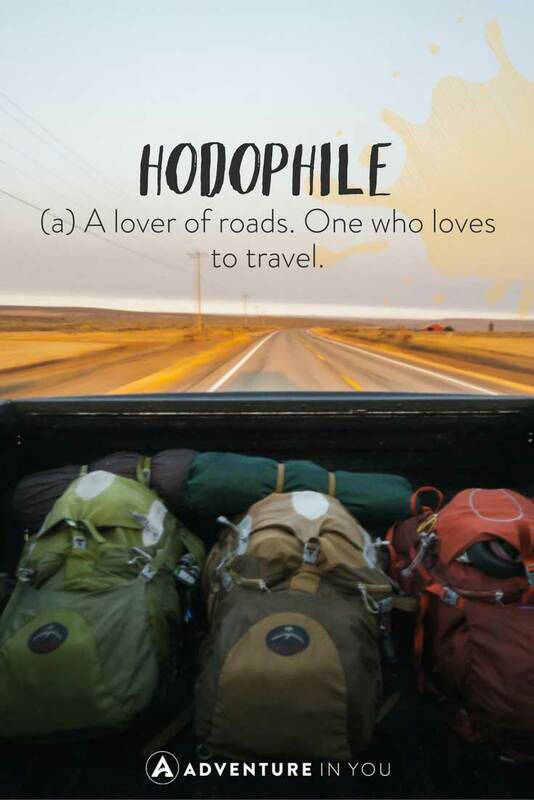 Hodophile (adjective) A lover of roads. One who loves to travel. 29. 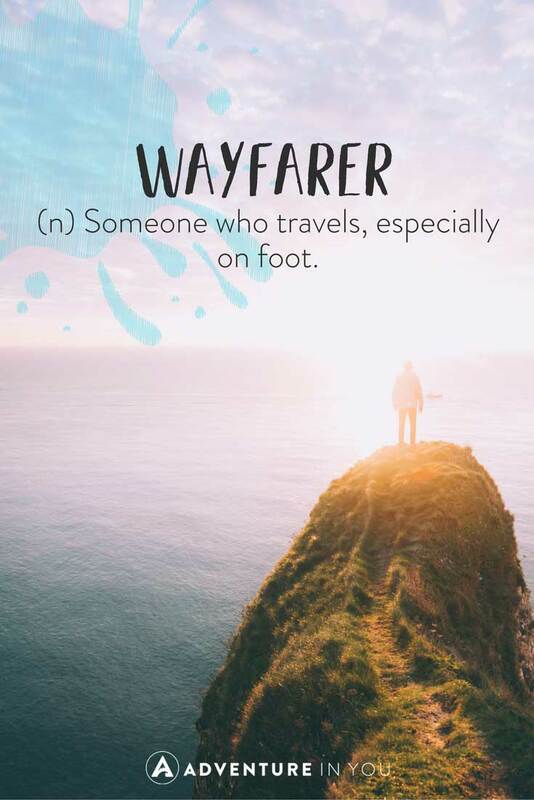 Wayfarer (noun) Someone who travels, especially on foot. 30. 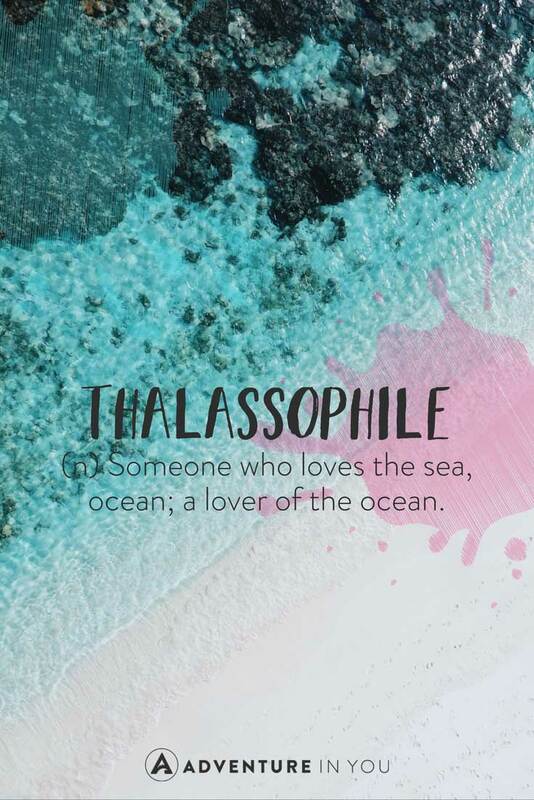 Thalassophile (noun) Someone who loves the sea, ocean; A lover of the ocean. While I could write paragraph after paragraph how these words mean to me, I will let these unusual, yet beautiful words speak to you instead. Hopefully, you picked up a few unusual words which you were able to relate to. What I love most about these words is how they beautifully capture emotions, some of which take a lifetime to express. If this article has inspired you, keep on being you, keep continuing to share your love for life and travel with those around you. Happy trails! 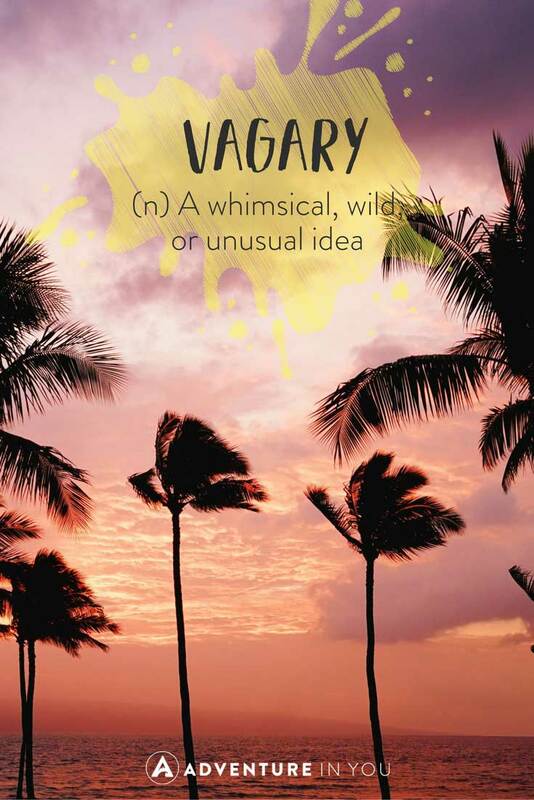 Loveeeee this interesting post with all the exotic new words and beautiful graphics! It must have taken you so long to create this post, thank you for sharing it! 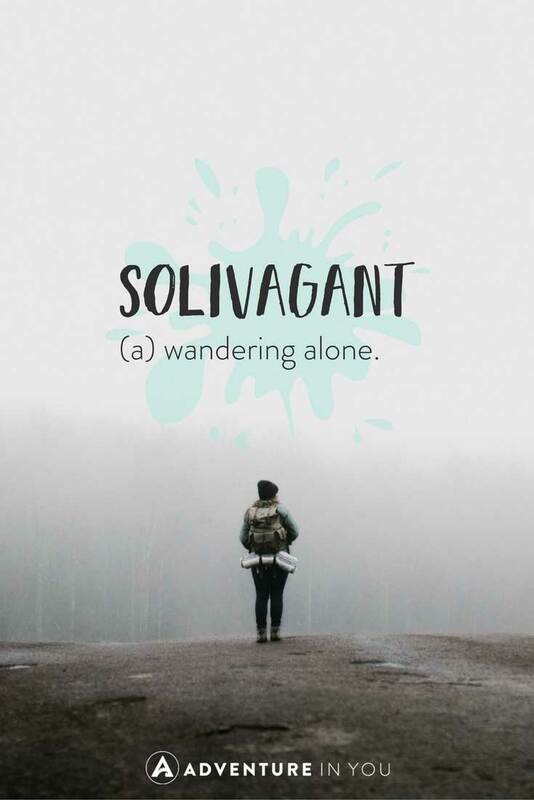 Solivagant sounds perfect to me, teeheehee. Awesome images! 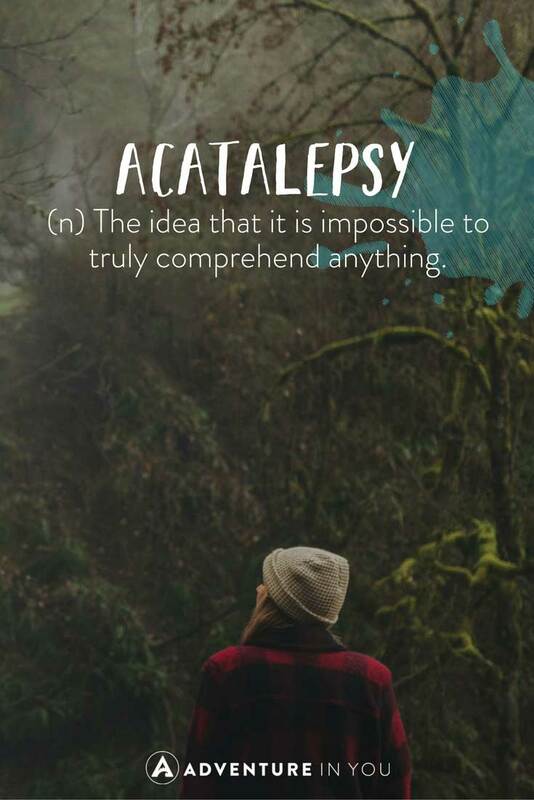 And awesome to learn new words. I definitely would love to use Peregrinate soon. And have fernweh tattooed in my body. 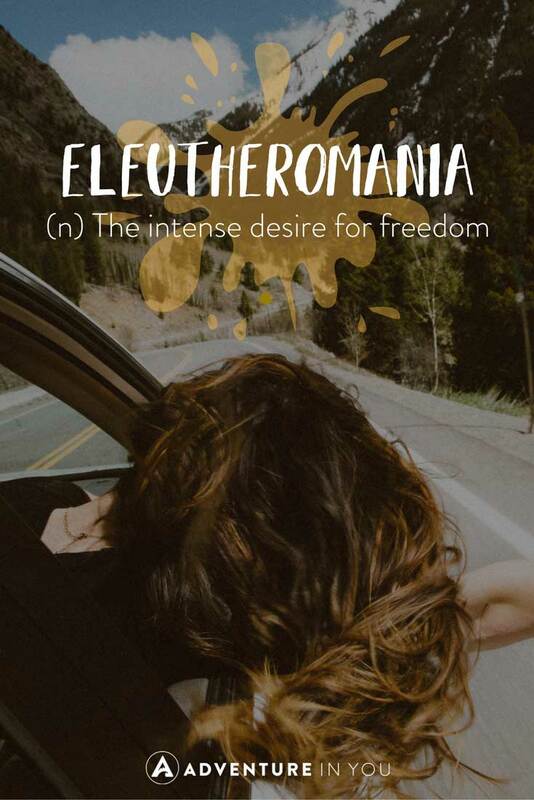 These are almost all new words to me – and I love new words! Thanks for sharing. Now I have to figure out how I can use some in everyday speak. hehe. Woah, tons of words I’d never heard of before!! I wish I knew how to properly pronounce some of these! What a cool idea and I love the graphics that go with each one! 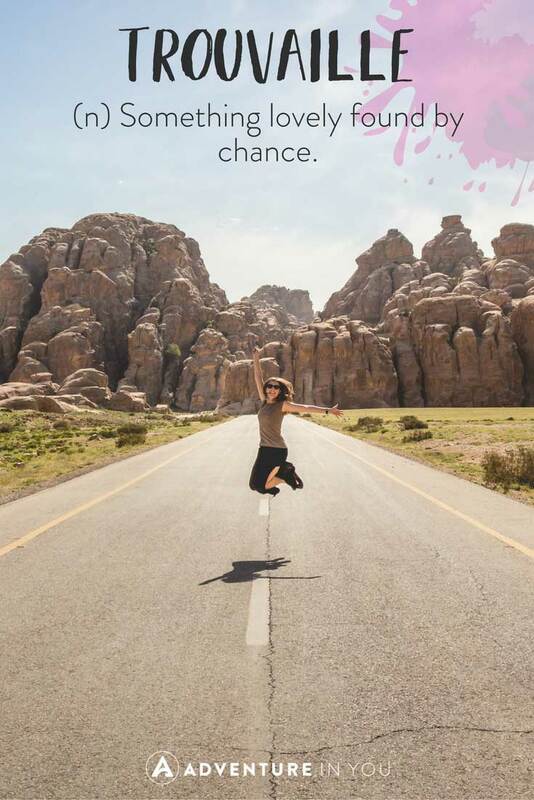 I have been looking for travel inspiration quotes lately and i think these will do the job! Thank you @meganindoe:disqus I’ve edited the article and added pronunciations…for the ones I could find. 🙂 Glad you liked them!